I must say, I have been having a blast here in England. I got in on Saturday afternoon and stayed with my friend Nick and his girlfriend in London. They were great hosts: we went to dinner and to a party Saturday night & then the Doctor Who Experience and the Natural History Museum on Sunday. 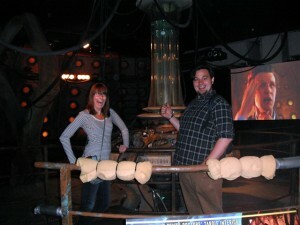 The Doctor Who Experience was absolutely fantastic! They had props from the show & a fun little walk-through ride where you assisted the Doctor in escaping from another Pandorica. You got on the TARDIS (which was totally bigger on the inside), fought Daleks, ran from the Weeping Angels & saved the universe from imploding. It was great. 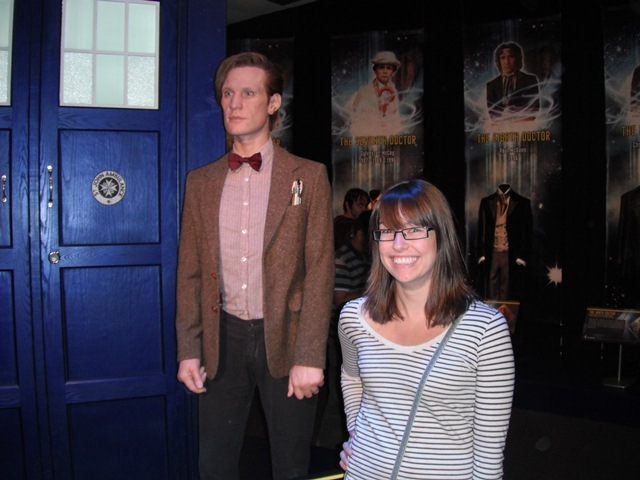 Me & a creepy wax statue of Matt Smith. Me & Nick on board the TARDIS! Then today I met up with my boss & did a bit of sightseeing through Bath. We toured the Abbey & went to the top of the bell tower (which I had missed last time). 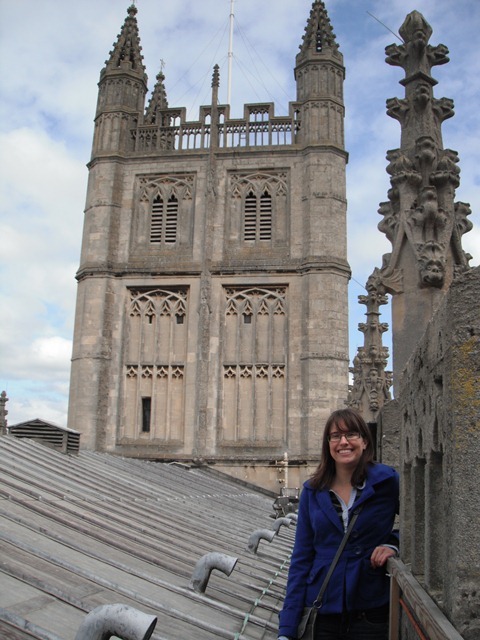 There were some really narrow staircases but it was really cool to see the bell tower & the back of the clock face! 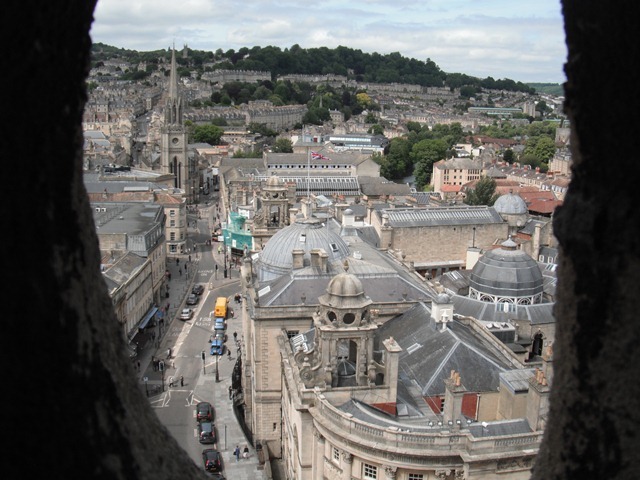 View from the top of the bell tower. Me halfway up the tower (it’s in the background). Anyway, tomorrow we’ll be meeting with our distributor Active Robots to go over some more details about the course. And then, who knows? Probably more sightseeing. Next Post Jolly Ol’ England – It’s Business Time!